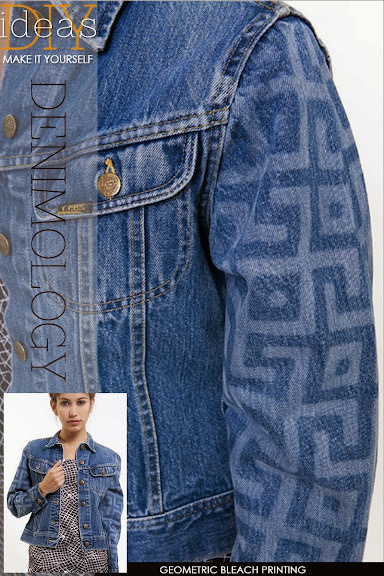 Who doesn't love denim! There's at least 10 pairs of pants (that I can think of LOL) in my closet. Jeans for every occasion. Jeans for when you feel thin, fat days, casual, dressy, you name it, it's there for the wearing. 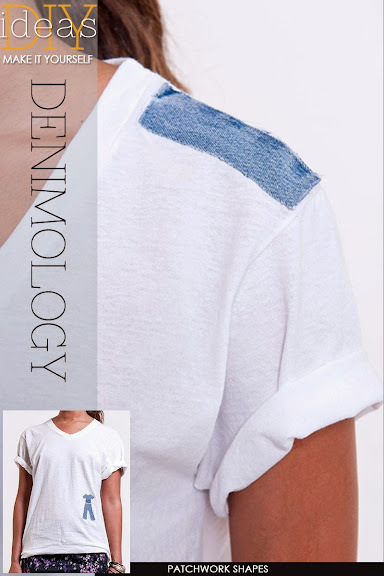 The hunt is always on for the perfect jean that makes your body look great, whether for "real", in your own mind or in front of a "good" mirror. Sometimes plain Jane denim doesn't cut it. 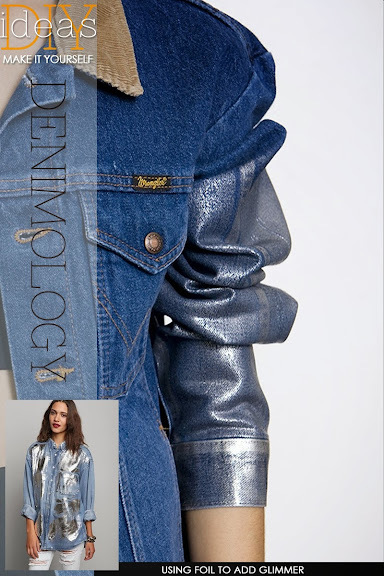 Now there is denim available with every imaginable coating and embellishment. Foiling, bleaching, bejewelling, cutouts, patchwork, distressing, the list goes on and on. 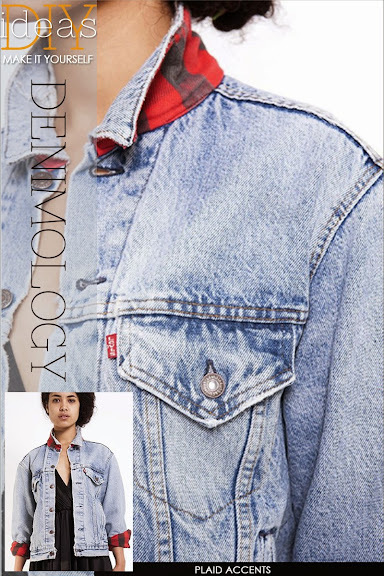 For every new treatment, there is a DIYer attempting to personalize their own denim. 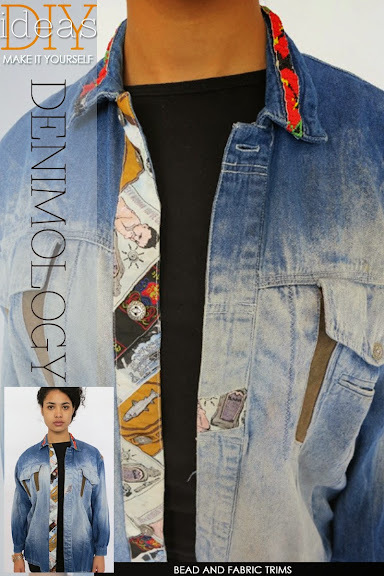 When I ran across Denim Refinery, the creative juices started flowing and I was in denim heaven. 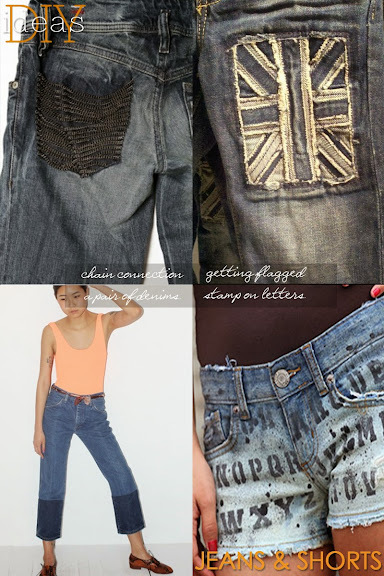 Read further for more inspiration, step by step tutorials and videos on how to restyle your denim pieces. Video Tutorial | this video show shows how to use stencils with paint, which can be substituted with the PearlEx pigment powder. 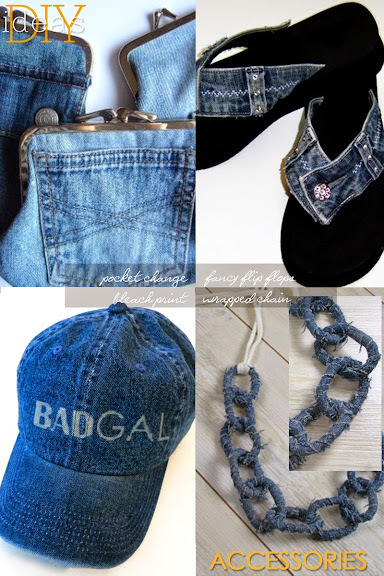 I love denim and stocking up on old jeans! lots of good inspirations here! xox, d.